Hey, once again we are back with an awesome deal for you. 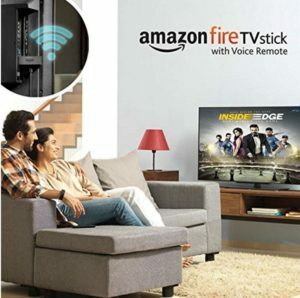 Amazon is offering Amazon Fire TV Stick for Rs 3499 with Rs 499 Cashback, which means you will get Amazon Fire Stick at Rs 3000 only. Its MRP is Rs 3999. This device is extremely popular and is one of the best gadgets launched in 2017. Using this device, you can connect your Amazon Prime Video account to your TV and run all videos on big screen. If you wonder what all is there on prime video, there is everything you need – Movies, Exclusive Shows, Kids Programs such as full seasons of Doraemon, Chota Bheem and much more! How to Buy Amazon Fire TV Stick for Rs 3499 + Rs 499 Back.? How can we reach you to know the best package?